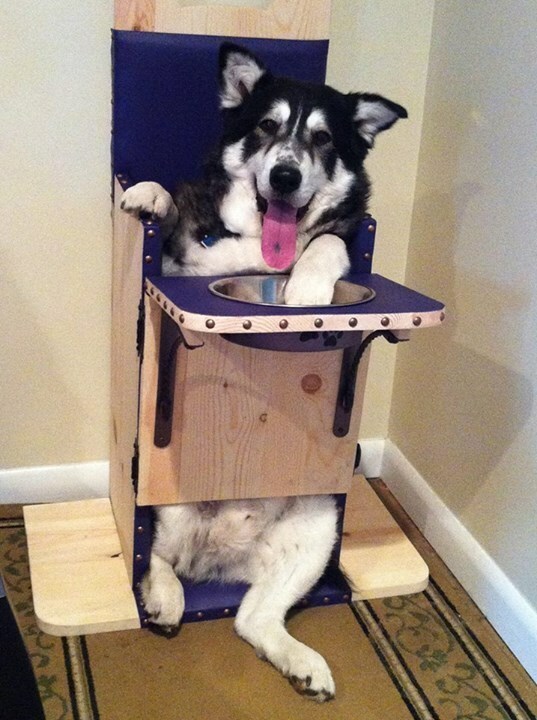 This might be the most regal solution for a medical problem we've ever seen: a special throne made for a canine king. As they age, some dogs develop megaesophagus, a condition that stiffens the esophagus and makes it difficult for dogs to swallow. They can't keep their food down, which can lead to vomiting or accidentally inhaling it into their lungs. While megaesophagus is common in senior dogs, it can also affect puppies, and can dangerously stunt their growth and impair their development. Luckily, there's a solution. Eating while standing up can help dogs move food down their esophagus properly. 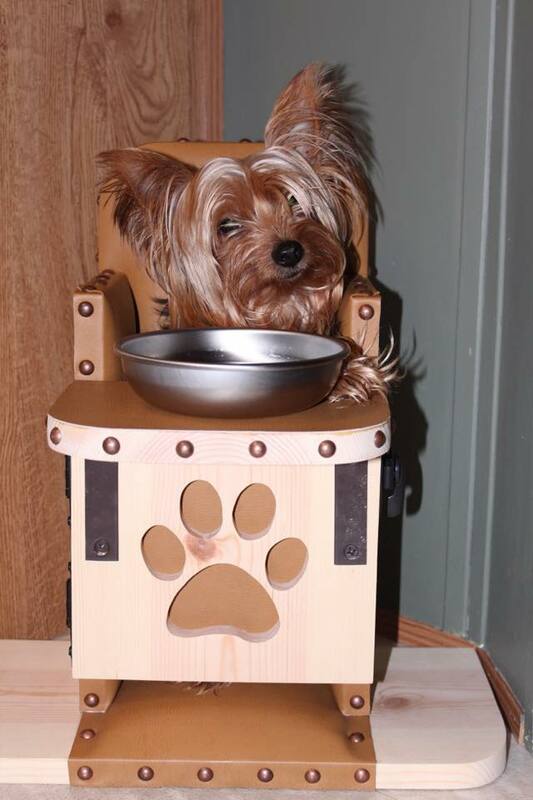 That's where the Bailey chair comes into play: It allows a pup to sit upright while he eats. 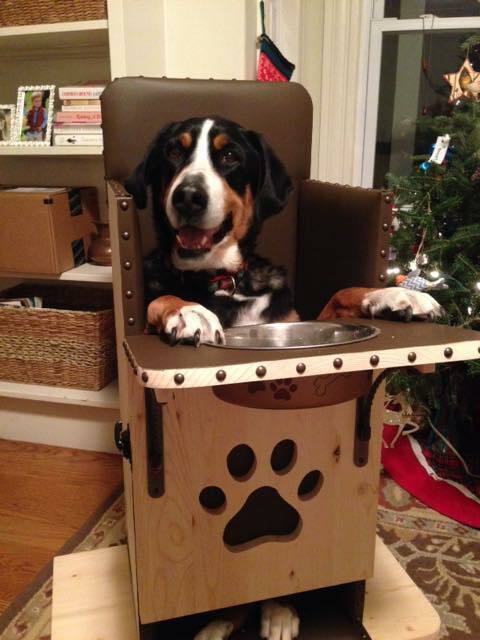 There are awesome places where pet parents can find low-cost Bailey chairs, and anyone can donate money to send the specially designed chairs to shelter dogs in need. Plus, the pups look so majestic in their thrones. "Baby Praying Mantis Makes Death-Defying Leap Into Air"
"16 Cats Who Have Serious Morning Face Right Now"
"SeaWorld Invests In Dolphin Captivity As Ringling Retires Elephants"